Description: We must Never Forget the day the towers came down on September 11, 2001 — the day that our nation was attacked — inflicting the “deepest wound ever on American soil.” And while this day will forever have a place in the history books of the United States of America, it needs to also have a place in the consciousness of every American citizen, young and old. As we look back on this devastating event that occurred nine years ago, Dr. Thomas Lamar enlists the help of chiropractor Dr. Gary Deutchman to tell a 9/11 story that escaped mainstream media. …An Extraordinary Chiropractor Who Did An Extraordinary Thing…. when our nation needed it most. plus photos, reference links, and addendum notes to allow you to dig deeper on this subject. Spinal Column Radio, episode number twenty-three. 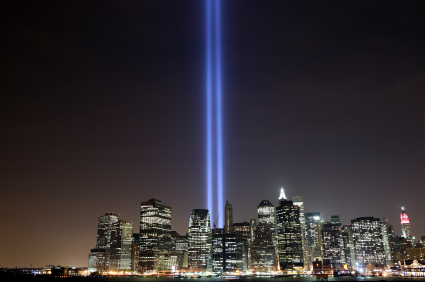 Coming up next on Spinal Column Radio — Remembering 9/11 from the Hands of a Chiropractor. September 11, 2001… a date that is permanently etched in the history books… and in the soul of our country, the United States of America. 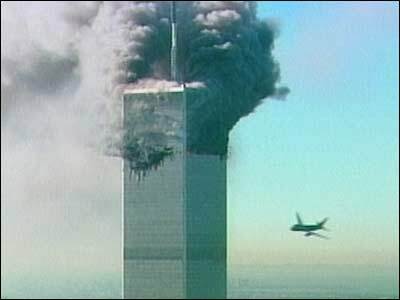 “Early on the morning of September 11, 2001, nineteen hijackers took control of four commercial airliners en route to San Francisco and Los Angeles from Boston, Newark, and Washington, D.C. At 8:46 a.m., American Airlines Flight 11 was crashed into the World Trade Center’s North Tower, followed by United Airlines Flight 175 which hit the South Tower at 9:03 a.m.
Later that evening… nearly 12 hours following the first crash, the then President of the United States, George W. Bush addressed a frightened nation in desperate need of strong leadership. President George W. Bush: Good evening. Today, our fellow citizens, our way of life, our very freedom came under attack in a series of deliberate and deadly terrorist acts. The victims were in airplanes, or in their offices; secretaries, businessmen and women, military and federal workers; moms and dads, friends and neighbors. Thousands of lives were suddenly ended by evil, despicable acts of terror. Within a matter of days, President Bush’s commanding leadership in this situation saw his job approval rating soar to 90% — the highest approval rating of any president since the Gallop Poll started measuring this metric in 1937. Today on Spinal Column Radio, we are taking a look back…. a look back to an event that happened nine years ago… An event that permanently reshaped our nation forever. So why are we taking a look back? Simple. Because, it is so easy to forget. It’s human nature. We get distracted and something else comes along and grabs our attention. No… we must never forget the day those towers came down… the day our nation suffered the deepest wound ever on American soil…. We must never forget…. And while the events will forever have a place in the history books of the United States of America, I submit that they also need to have a place in the consciousness of every American citizen, young and old. Because it is this forefront of consciousness that will shape policy and critical decisions for the future of the safety and freedom of our great nation. As our way of looking back…. (this is a chiropractic podcast after all)… we are going to share a story that you probably didn’t catch. Oh sure, there was round-the-clock, nonstop media coverage for days on end, but this story really never made it into mainstream media. Which is a shame because it should have. Now our story will be focusing on Ground Zero … the site of the World Trade Center… but I just want to make the point, that just because our conversation from here on out is going to be mainly about the Twin Towers, I do not want that in anyway to minimize what happened at the Pentagon or on United Airlines flight 93. 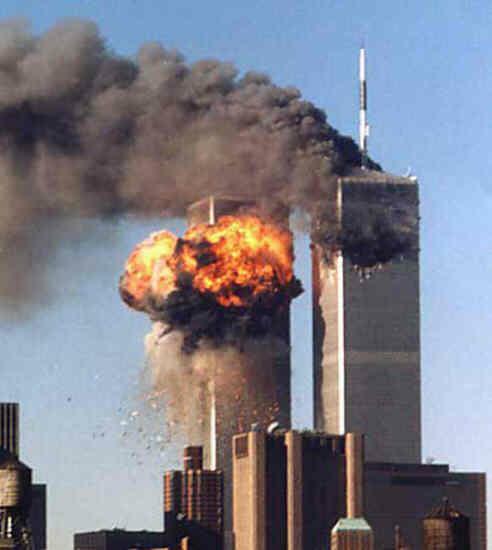 I wrote an article on the 9/11 topic shortly after the event happened…. and what prompted me to write that article was a New York Chiropractor by the name of Dr. Gary Deutchman. Because you see, I read — in the October 22, 2001 edition of Dynamic Chiropractic — his story…. his story of how he broke from his routine in life and rolled up his sleeves on his own accord and traveled deep into our country’s bleeding wound to help heal this country the best way he knew how. By delivering chiropractic care to thousands and thousands of rescue workers. And what I soon found out, was that he was not alone. He was not the only chiropractor that felt the same calling. Although I do believe that he was a trailblazer. I believe that he was one of the first of the estimated 1500 chiropractors that eventually showed on scene over the next 9 months of this relief effort. Well today on Spinal Column Radio, we have the honor of speaking to this “Extraordinary Chiropractor.” — the chiropractor that inspired our profession, that inspired me, with his front page Diary of his 9/11 experience, that appeared in our profession’s leading trade publication, Dynamic Chiropractic. Dr. Lamar: Well, joining me on the telephone today from his office in New York City is chiropractor Gary Deutchman. Dr. Deutchman is a 1986 graduate of Life Chiropractic College out of Marietta, Georgia and has been in private practice ever since. He’s a past president of the New York Chiropractic Council for Manhattan, and has extensive experience initiating and managing volunteer chiropractic programs throughout his career. Such efforts have included treating drug addicted newborns at Hale House in Harlem, men and women with AIDS at the Gay Men’s Health Crisis in New York City and priests and nuns at the Fratenite de Notre Dame, a French missionary group that maintains orphanages and soup kitchens around the world. He has also been an advisor to many chiropractors around the country about establishing local volunteer chiropractic care programs themselves. Today, Dr. Deutchman is a leading world expert in the alternative treatment of scoliosis using postural rehabilitation and the Spinecor brace. He is a provider for the Nationally recognized Scoliosis Systems program for the management of Scoliosis and is a founder of the the Scoliosis Care Foundation, a non profit organization dedicated to educating parents on the benefits of early detection and correction of Scoliosis. Wooh! Dr. Deutchman, it is a pleasure to have you on SpinalColumnRadio. Dr. Deutchman: Happy to be here. Dr. L: Well, you have quite a bio, if I don’t say so myself… but today, we are going to talk about something that is not on that bio. Actually something that happened a full nine years ago. And while that might seem like old news, it’s old news that’s worth telling again… and again. Because we must NEVER FORGET. Of course I’m talking about September 11, 2001. Perhaps it would be best if you start by telling us where you were and what you were doing when you heard the news that American Airlines Flight 11 had crashed into the North Tower of the World Trade Center? Dr. D: Well, I was driving into work — into the city — and all traffic stopped. I was almost in and my wife calls me on the phone and says, “Something’s going on in the city.” And I go, “Yeah, I know. All the traffic stopped.” She says, “Just turn around. Come home.” So I turn around and go home. And that’s how I… that’s how I initially found out. Before I was glued in front of the television. Dr. L: Ok. Just so we can get some sense of geography here. How close is your office and how close is your home to the World Trade Center? Dr. D: Well, my home is about an hour from the city, northeast of the city. My office is on… on that time was on the upper-west side of Manhattan, about on 86th Street and World Trade Center was downtown on the west side. So, you know, it’s a few miles away downtown. Dr. L: Ok. So, pretty close actually. Dr. L: …soaking in the horrific event that had just occurred and some of it occurred right before our very eyes there on the T.V. Dr. L: The media coverage continued around the clock without break for what seemed like days. And then something shifted inside of you. You were… you were done sitting on the sidelines. You were ready to roll up your sleeves and get in the game. I want you to take us back to that moment. Tell us your thoughts and your emotions. Dr. D: Well, sitting in front of the television just watching what was going on in the city — and the city also being locked up, pretty much, to people going in and out on the bridges — I was watching and my wife said, “Well, let’s go out.” And it was a couple days after it occurred and I go, “You know what, Honey I have to go into the city.” She says, “What do you mean you have to go into the city?” I go, “I have to go into the city. I can’t tell you, but I have to go.” She says, “Well you are not going to get in.” I said, “I’m going to get in. I’m going.” So, I grabbed a couple of portable tables. Put them in my car. And grabbed a white lab coat and put it on. And… which I don’t usually wear a lab coat. But I grabbed a white lab coat and put it on. And I headed down towards New York City. On the way I called a buddy of mine who also, I knew, was kind of sitting at home. I said, “Meet me in the city. We’ll meet somewhere. Just meet me in the city.” He said, “Definitely.” So, that was my friend Rich Nunziata. And so we headed down to the city. I went down to the city and I got to the first check point. And they’re like, “No, no, no, no. You can’t come in.” So I had my white lab coat on, and I talked to some firemen and I said, “I’m a chiropractor and I want to help out.” And they said, “Fine.” So they took… they made me leave my car there. They took the tables and put them in the back of their truck and drove me down to just the outskirts of Ground Zero, a few blocks away where there was mayhem everywhere. There was fires. There was… it seemed like I was in war. It did not seem like the Lower West Side like I had remembered it. There were just trucks and fire trucks and firemen and every type of police that you could imagine. Things like, you know with labels on their jackets. Every kind of thing like you could imagine, like CIA, DEA. I mean everything, FBI. Everywhere. And there were just firemen going in and out from these piles of rubble and fires. The air was thick. There were masks available although not a lot of people wore them. But there were masks available. And then there were… So, basically the first day we were there we set up our tables just in the street and as firemen and police came out from the rubble and passed by to maybe go get a drink as there was some trucks set up from, like McDonald’s and various vendors set up some free trucks for people to get food and drink. They would come over and we would adjust them. And they were so grateful. And they would come back and back every time they could. Dr. Gary Deutchman helping out in the heart of the Ground Zero activity. Dr. L: You guys… you’re there… you’re basically “Lone Rangers.” You’re not there with any formal plan or invitation. Chiropractors would not be officially recognized as providers at the Ground Zero situation until really like two and a half weeks later. So what is it like? I mean you’re there. You’re set up. How well received are you? Are the “patients” happy that you’re there? Dr. D: Oh, it’s amazing! They’re very happy we’re there. Many of them had chiropractors of their own, but they were working round the clock shifts. Many of them never had experienced it before but were hurting. They were working, digging through rubble looking for , you know, survivors. Looking for people in the rubble. And also putting out fires. Fires were everywhere. So it was very well received. You know, as the days… as the day went on I would go out and scope other positions. And there was, you know, serious security of course. Because here they’re wondering what else could happen. You know, if this could happen what else could happen on the ground? So, there was a lot of security in terms of police and that was just the first day. Dr. L: I bet. Can I ask you how many patients did you see approximately in that first day with your colleague there? Dr. D: Sure… Oh it had to be hundreds. It just went on all day, all night. Dr. L: And how long did you guys treat? Dr. D: How many did we treat? Dr. L: No, I mean excuse me but, how long were you there treating hours-wise? Dr. D: Oh, the first day? Dr. D: Through the night. We didn’t go home. We just stayed there. Dr. L: You guys must have just been exhausted after awhile or did you have an energy that was just there? Dr. D: Yeah, it was an energy. We didn’t really think of the time. It was well lit from what was going on. It was like… it was just… it’s hard to explain. It was just… the activity didn’t stop. It just kept going. So, you never really realize what time it was. You just kept going. Dr. L: You wrote a diary of your experience and it quickly found its way on the front page of one of our profession’s trade publications, Dynamic Chiropractic. And in that you communicated that while you were pleased with your initial chiropractic location, you knew that there was something better. A better location. Dr. L: You had a desire to get to the heart of the activity, something that was not all that easy to do. Can you tell us more? Dr. D: Yeah. I kind of worked my way towards the Ground Zero area which was heavily secured over the days after the first day by… well first it was the police and then the Army came in. That was like a whole another thing the Army, the National Guard came in and seemed to have taken over the whole site. And then… but there was an opportunity through the Red Cross. The Red Cross was there and they… somehow we met up with someone from the Red Cross who said if we go with them to Brooklyn, and this is like in the middle of the night. We go with them to Brooklyn and get sworn in as Red Cross, I guess, providers or volunteers then they will give us a badge that will give us access. Actually that came after. I think initially we had a badge from the Army directly. I got a pass from someone in the Army. It was a while ago so it’s hard for me to get everything in order. Dr. D: But originally I think we had gotten a pass from someone in the Army who let us through. But then, after a while, that wasn’t good any longer. They tightened up the security even further and that’s when we went to the Red Cross for help. And the Red Cross provided us with photo i.d.’s which then gave us full access. And… but until that happened, each day was, you know, you didn’t know if you were getting in or not. Dr. D: You got in by, basically, almost sneaking around to get in even though we were trying to help people. There was a lot of, you know, nervousness of course because nobody knew who was who. There was so many people there. Dr. L: I kind of got the impression from reading your diary that you had to do maybe some quick thinking on your feet, maybe some fast talking just to kind of get past these checkpoints because every situation was different. Dr. L: Before you get to that… I’m sorry, because that’s something that I definitely want to talk about. Dr. L: But, can we back up just a little bit? Dr. D: Sure, go ahead. Dr. L: According to your diary, you set up kind of on a corner. You’re right there close to where you wanted to be, you know next to Ground Zero. And I want to read something from your diary then I want you to expand on it a little bit. Dr. D: Well, I think in the beginning they didn’t know what we were doing. They didn’t know if we were… even when we yelled it out I think some maybe thought we were charging for it or something. But, maybe they were just nervous about it. Plus they had been working, covered with soot and dirt and equipment. There is just just ropes and all kinds of things hanging from their bodies. And so we wanted to let them know we were there to help. So we’d be yelling it out. 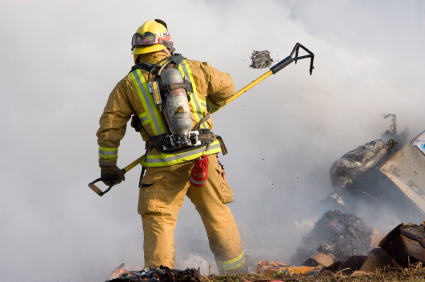 And what would happen… you’d get a group of firemen coming as a unit because they went in like a squad. So a whole squad would go in and the whole squad would come out on a break. And then another squad would take their place. It was very controlled. So what happened is one person in the squad might have come over and tell the other guys to wait. We adjust him and then the other guys say “Wow! That looks good. I want to do that now.” So, it took a little encouragement on our part, in letting them know that we were there, to get them started. And that was in the beginning. After a while the… everybody knew the chiropractors were there. And, you know, many many people took advantage of, you know, the benefits that we could give them through adjustments at a certain point. But in the beginning, yea it was like pulling teeth a little bit. They didn’t know what to make of us I think, in that area that was closest to Ground Zero. Dr. L: I kind of have this vision of you shouting out… you New Yorkers are known for being able to hail a cab from like three blocks away and just shouting above the noise that must have been going on there too. Dr. D: Oh yes, yea. Sirens and everything. Dr. L: I want to talk about the 17th. You’d already been there a couple of days I suppose, and you showed up there at the chiropractic location at Ground Zero. And you noticed it was fairly well manned at that point. You decided to venture into a highly secured area, you said, that was restricted where the search and rescue operations were taking place. Dr. L: Can you tell us about that experience? Dr. D: Well it was dark. It was late at night. And there were… I kind of knew my way around the place at this point. It was a few days into it, so I knew how to get to wherever I wanted to get to. And what happened was… I have experience in welding and in construction from years years past. And I felt that at that point I could be of some help if I could get in there. And so I went in and I saw a group of firemen trying to open up an area that went into the parking garage that was underneath the Trade Center. And there were rumors around that that area might still have people in it and there might be people down there. And so being good with a cutting torch, I got right in there with them and put on the gloves, took a torch, and was cutting rebar away with them. Cutting the metal and prying it away to expose an area, an access point that could have been entered to get down there. That was really and interesting evening for me trying to help out in that regard. Many years ago I was an EMT, so I kind of had that emergency medical kind of attitude of trying to, you know, jump in there and trying to help that way. But that was very well received. They were happy that I was helping and that I knew what I was doing. So that worked out. Dr. L: You wrote of that experience. You said: “I felt that in a matter of moments I was able to elevate my usefulness to a new level. I saw myself as an equal to all the men I treated.” And then you went on to state that after having experienced that you now felt complete and you knew first hand what your patients were experiencing. Dr. D: Yeah, that’s very true. I saw how hard everybody was working in there. There was just… when you get on the inside there it was a very, I mean, it was a very dark place with search dogs and bucket brigades that went on for what seemed like miles of people moving just to breathe to try to access certain areas looking for bodies and you know it was just a very… that was I think the… and it was all on fire at the same time! So there’s fires going and people working right next to these areas that were on fire. It was just… it was quite a scene and it was at night so the lights are shining on it, very well lit. But I guess it’s as close to I’ll ever get to probably being in war, the feeling like it’s a real war zone like what we see on T.V. in Iraq and such. That’s what it felt like. Dr. L: I just… some general questions as we continue on: Did you close your office down or did you work both of them? How did that work out? Dr. D: Well, I had an associate. And the associate in my office kept things going in the office so I didn’t have to go in. And basically I didn’t. I don’t think I went in for a month. I stayed down there working at Ground Zero for I believe probably about a month. And fortunately I had very good staff who was able to keep things going. The chiropractor, Jody Frank, who was working with me at the time she kept things running. We just kept moving forward. Dr. L: How did your wife deal with all this? Dr. Deutchman providing Chiropractic care to a 9/11 relief worker in need. Dr. L: She was supportive of you there. Did you go home periodically or did you stay there? Dr. D: I went home. I went home. I’d go home for a few hours, go to sleep, then I’d come back. And that’s pretty much, you know, how I dealt with that. There were a couple nights that I stayed in the city. But most of the time I was able to leave for a while and go home. Dr. L: Did you have any contact with your patients from your office during this time at all? Dr. D: Not really. My staff took care of that. Dr. L: When you came back what was the reactions that you got from them? Dr. D: Oh, they were very happy that I did what I did and they understood completely. They knew the other doctor anyway so it’s not like they felt that I had abandoned them. They understood that that’s what I needed to do. As a matter of fact, many of them had donated things like vitamins and orthodics and different things for me to bring down there. So I would stop in my office and pick up volumes of vitamins and different things to bring to these guys that were working on the piles, you know in Ground Zero. Dr. D: It’s true. I went in there to… Well I had been in there to get some food and saw what a great place this was. That there were people coming and going from here and there’s this line and at the end of the line there was some floor space. And I said, “Wow. If I set up right here everyone is going to see me because they are all in this line for the food.” So I went back to my other area and picked up my table. Well, one of them. And I brought it over to there, set it up, and that’s when I went over to that guy. And there was like… it was a loud place until I had him laying down on the table. The place got quiet. It was great. I said this was either going to go really well or really bad. Either this guy is going to love what I’m going to do or he’s not. If he loves it then I’m going to have… I’m going to be busy. And that’s what happened. Exactly just like I said in the diary. I adjusted him, he got up, and it was like he was very happy and that was it. We had a line of people. Matter of fact, it became so busy there they moved me. They asked me to move to the upper deck. So, there was the… this area was actually had balconies looking down on it. So we went up to the balcony area, and then that had become one of the most busiest sites in all the sites. because we… many chiropractors then joined me… physical therapists, massage therapists. We took over that second balcony floor in the boat because of that event. And that’s where we stayed until the boat left there. The boat was there for a long time. So that’s where I pretty much went every day was to that floor. Dr. L: Was this like the Lido Deck of the Love Boat or how big of a boat are we talking here? Dr. D: Well, it was one of these party ships. Wasn’t like a cruise ship, not that big. One of these boats that go around Manhattan Island where people have parties on with multiple decks, dance floors and things like that. So we had the upper deck there. And people, you know, everybody knew we were there. So when they would come in, they would come in, eat, come up, get adjusted, see whoever they wanted to see, and… That place was manned 24/7 with a bunch of people. Because at this point the New York Chiropractic Council had gotten very involved, connected up with the city and connected up with FEMA, connected up with the Red Cross. So at this point the chiropractic profession was very involved and email and things were going out on the Internet. And chiropractors were coming from all over the country to volunteer their time now knowing that they had a place that they could go. And so that was, you know, quite an experience meeting all these other doctors from all over the United States and even from other parts of the world. Can you tell us more about that thought process, that light bulb that went off on that for you? Dr. D: Well, I think that happens everyday in practice. You know, you can adjust many people and have wonderful things happen for these people. You’ll have someone that doesn’t like what you do. And what will most people focus on? One person that wasn’t happy. Not that they shouldn’t be thought about, but you know you have to give yourself a break as well and realize that you know if your intentions are good and you’re doing good work and you’re helping people… don’t underestimate that. Because that is, you know, that’s very important. And that’s what keeps chiropractic going is the fact that there’s a lot of dedicated people out there. But to keep positive. You know, you have to keep positive and this is for all walks of life. It’s so easy to focus on the negatives and then crawl up into a ball and not do anything. So, you know, keeping balance… keeping the balance of things is very important in practice and life. Certainly it was important down there. You know, if I would have been turned off someone who didn’t want to or didn’t trust you k now to have me work on them and walked away there would have been, you know, just thousands of adjustments that wouldn’t of happened of people that are now chiropractic supporters. Or even if not that. Even if just they were able to do a better job what they were doing while they were there. Even if they never went to a chiropractor again. Although, I find that hard to believe. A lot of… I think there are a lot of people there that got to experience it for the first time and are probably still getting their spines aligned. Dr. L: Did you find that of the people you saw, maybe like a percentage-wise, how many were on your table for the very first time, they had never been to a chiropractor? Dr. D: Oh, I’d say probably… I mean it was a long time ago but I would probably say probably about 75%of them had never done it before. Dr. D: I think it was a larger… I mean much larger number had never done it before then had. Dr. L: Of the people that you saw… and there must of been thousands when it was all over, right? I mean you were there for a month. Did you see some of those people again kind of as a repeat visit sort of thing? Dr. D: Down there or up in my office? Dr. D: Yes. Down there definitely people would come back. They would seek you out. They like the way I adjusted perhaps and they wanted… or maybe they just wanted to trust me. I don’t know. I would see people a number of times. And then… a couple people did come up to my office afterwards. Not many though. You know, they were from all over. They weren’t necessarily from my area. My office is on the Upper-West side. These people from every borough, every part of you know the country… so it wasn’t even necess… you know, it wasn’t… that was certainly not even part of my plan. Dr. L: Of course not, no. Let’s talk clinical just for a minute. Clinically, what did you see? I’d imagine that there could have been a certain amount of injuries but that the mass majority would have just been a lot of emotional overload and stress. Dr. D: Yes, a lot of stress of carrying heavy packs and ropes and different things on their bodies. The firemen carry heavy stuff to start with, with the oxygen tanks and different things. You know, it was just a matter of getting them in as best alignment as you could to relieve tension in their spine, increase their tone. And so in terms of I mean, my background is a combination of Chiropractic Biophysics and some different techniques. You know, in this environment was more about, I think, you know, keeping in mind as much as you could. But it, you know, the techniques that we learn kind of make up our fiber. And then when we adjust people you’re not always… you know, you’re not taking out a textbook and say,”Ok. This goes this way. That goes this way.” It becomes part of your fiber. At that point I’d been practicing fifteen years already at that point. So, it wasn’t… it was… the technique was what I felt they needed at that moment. Basically, adjust their subluxation, free them up and they all have more energy. They all felt better and I think they probably perform better because of it. Dr. L: I would not doubt that a bit. Hey, on your last day of the diary that was published, that would have been the 19th of September, you talked about a couple of things that caught my attention. I have to say I had to smile and you’ve already said it once, but I had to smile when you referred to Ground Zero as “The Pile”. And I smile because I knew that at that point you had probably assimilated. And that camaraderie was being formed when you start to talk about that in kind of a vernacular that everybody knew about. Tell us a little about the friendships that may have come out of this experience. Dr. D: I think between the different chiropractors I have a certain bond with them now. When I see them we don’t have to say anything. We both know… with other people in other professions or just different people there: policemen and firemen… you know we all knew why we were all there. And, you know… it was like a big fraternity of sorts that I felt part of. And you know, it’s hard to explain beyond that I think. You know that’s pretty much the feeling. That we were all in it together and we’re all nervous. We didn’t know what was going to happen next. You know, this is all just happened. It was a pretty big thing that happened. Very hard to believe that it happened. And yet we are standing in front of this war zone… this pile of fire and metal just sticking out of the ground. You know, it was pretty overwhelming at times. But it’s amazing how in one sense you could get numb to it. I guess the real word… it was very surreal. It was as surreal of a thing of a place that I’ve ever been in my life. And there were times I remember once during a day where I was down in the… at the Ground Zero, near The Pile there was a bunch of firemen turning over a car . And I went over there and I said, “What’s going on? Why you turning over this car completely crushed?” And it turns out that the captain or the sergeant, or whatever they’re called… the chief! The chief fireman for that group, for that firehouse… his brother was in that car when the building came down and he was looking for a crucifix that was hanging on his mirror. And… sorry, I get a little choked up. Dr. D: Ten years ago it still chokes you up. And you know we were all there. We’re all just trying to find this crucifix in the car. In this bent up, flattened out car. And we flipped the car over it was almost like the adrenaline was in all of us to try to help this chief find his brother’s crucifix. You know, and it was… things like that kind of stick with you. You know. Dr. L: Sure. Wow. Was there some sort of ceremony of some sort to honor the chiropractors that worked there? Dr. D: There were. I didn’t attend. I didn’t attend any of them. There were a number of things. I kind of felt… it was kind of weird because I was invited. And I just kind of felt like I did my thing and that was it. I didn’t really want to partake in anything else. Dr. L: I could understand that. I could respect that. Let’s get back to your diary for a minuet here. There was a story that caught my attention about Scott Stanwood and the Energen Project. Can you tell us more about that? Dr. D: to back us on that. Dr. L: Didn’t you say that you actually had to get like a cab or two and put all the product in the cab? Dr. D: Yeah I know. It’s just weird. I haven’t… I don’t even remember writing it but I know I must have if you are rereading it. And I believe that. You know, people are waiting… they should be at 100% at everything they do. Doesn’t mean they have to do it forever. But, why be less than 100% at what you’re doing thinking that you’re saving that 100% for another time. The 100% is unlimited. You know, it is not like you use it up. But it prepares you to be better next time that you’re doing something. So, I guess that’s the way I live. You know, I try to do things at 100% no matter, you know, no matter what it is just because you know… it just seems like the only way to do it. What am I holding back for? 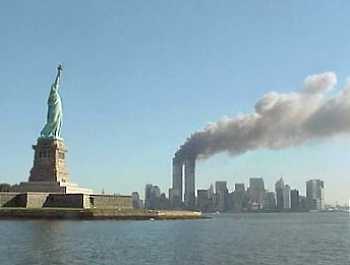 Dr. L: Certainly 9/11 has changed this nation forever. There’s no arguing that. It’s changed many people’s lives too. How did it change yours both as a chiropractor and as a human being? Dr. D: Well, as a chiropractor besides obviously getting together with a lot of people it just kind of created a reality that chiropractic, you know, is wanted, is needed, and you know… the chiropractic profession has to you know just keep moving forward at bringing it out there to the public. The public wants it. They’re confused. They’re being told different messages, different things but clearly over the last ten years or twenty-five years that I’ve practiced, the awareness of chiropractic has increased tremendously and there, you know, I’m sure there are a lot more people getting chiropractic care now then twenty-five years ago. Dr. D: You mean as like a supportive kind of thing? Dr. L: … as being a service provider? Exactly. Do you think that the 9/11 experience kind of paved the way for perhaps chiropractors being recognized right from the get go? Dr. D: No. I don’t think so. I don’t think … as a profession I don’t think chiropractic got the recognition from you know the media, from the city, and from different people. And we were looking for it. It would have been nice though, but I don’t think that, that happened. I don’t feel that way. I feel we would be out there again doing what we did the same way. You know maybe we learned from that of maybe some agencies to go to and that sort. So maybe it would pave the way a little bit. But I don’t feel that there is this overwhelming you know, “Ah ha!” from the powers that be. That “Oh yeah! Let’s get the chiropractors in there.” I don’t think that happened. Dr. L: Perhaps you need to write a how-to book so somebody can duplicate it. Dr. L: Hey, believe it or not, we’re just about out of time here. But, do you have any final thoughts that have maybe come up as you’ve been discussing this? Dr. D: You know, I have to thank you for contacting me and asking me to share this. Something that, you know a lot of these thoughts I haven’t thought about in a long time. And just keeping this a story out there not only just stimulating me to think and remember, but I’m sure it’s going to stimulate others to do volunteer work and do various things. I think the work that you’re doing is very powerful. Maybe more than you even realize in terms of changing the way people think. So I want to thank you for your time and your aggressiveness to make this happen. Dr. L: Well thank you very much. That means a lot coming from you. Well, Dr. Deutchman, I want to thank you, too, for taking time out of your very busy schedule to share your 9/11 experience with us today on SpinalColumnRadio… We must “Never Forget” the significance of that Dark Day in our country’s history…. you certainly represented our profession well in what has been described as “the deepest wound every inflicted on American Soil.” … But mostly, I want to thank you for taking up that position of leadership… for not holding back… and “letting the leader within you shine” to all those you touched. Might I suggest that through this podcast today you will continue to touch more. Dr. D: Great. Thank you. Dr. Gary Deutchman an Extraordinary Chiropractor, who did an Extraordinary Thing. 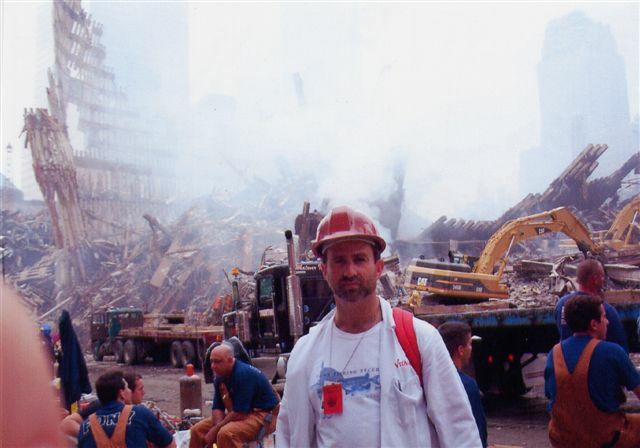 Actually, Dr. Deutchman was just one of an estimated 1500 Extraordinary Chiropractors that donated their time and talent to the 9/11 rescue effort. Fifteen hundred chiropractors that donated an over 1.5 million dollars in services… adjusting up to 500 patients per day — that according to an article that ran in the Journal of Vertebral Subluxation Research about the chiropractic response to this American tragedy. Actually, I’d be remiss, if I didn’t remind you that Dr. Rennie Statler was one of those chiropractors. Remember, he was the chiropractor that we interviewed back in Episode 011 and 012 on how he and seven other chiropractors flew down to Haiti to deliver food, water, and chiropractic care to the people of that country shortly after their devastating January 2010 earthquake. 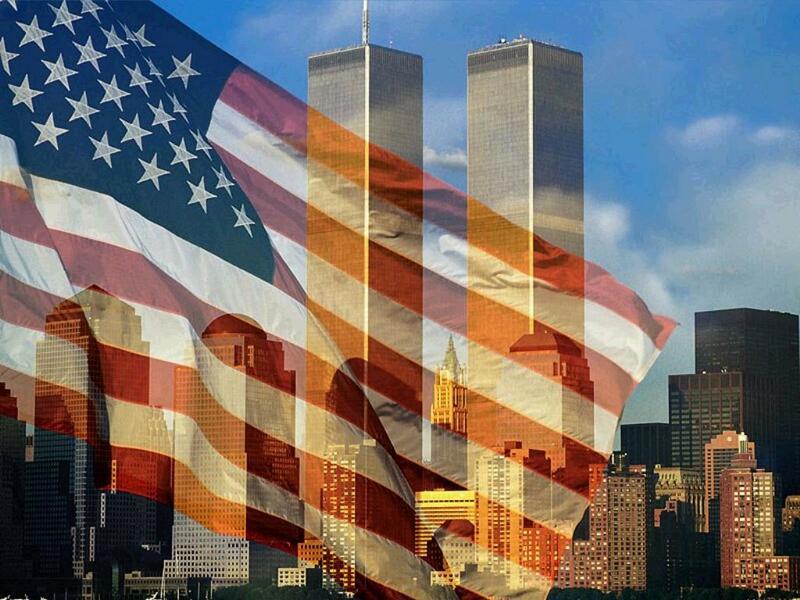 Two thousand nine hundred ninety-five people lost their lives in the September 11th Attacks…. 19 of those were the hijackers. More than 90 countries would lose citizens to these attacks. Years later, two more victims would be added to the death toll from chronic conditions as a direct result from September 11th. Many rescue workers lost their lives as well while on the job. And then we need to remember the many people who lost friends and loved ones… many children who lost a daddy or a mommy… or in some cases both. I want to direct your attention to the show notes of this episode where you can learn more about Chiropractic’s involvement on this Dark Day of American history. In the show notes is a link to the article that I authored, which now resides on my SpinalColumnBlog.com website, as well as Dr. Deutchman’s 9/11 diary that ran in Dynamic Chiropractic. Oh, and if you want to really dig deeper, I’d encourage you to check out the references at the end of my article as well as the “Addendum Notes.” Plus, I’ve also have a little bit about Dr. Deutchman as well as links to his websites. Before I wrap this episode up, I wanted to let you know something that I learned 9 years ago. And that is when you put something like this together, you never know who you might inspire to take action. When I wrote my article for the little tiny town of Kingston, Washington, I had no idea that it would touch one woman so much that she, herself, would dig deep into her savings and hop on a plane to New York City, to offer a helping hand to the rescue workers with her gift of reflexology. Truly amazing. So, maybe this podcast will inspire someone to do something…. to do something great when the opportunity arises. Maybe that “someone” is You. Next time on Spinal Column Radio: Tonsils, Appendix, and Gallbladder… What do these three body parts have in common? That’s the question that we’ll be asking…. and my answer just might challenge you. We’ll tackle that in two weeks So, until then, for my son Logan, tweaking the knobs on the mixer board, this is Dr. Thomas Lamar, your podcast chiropractor. I do keenly remember a group from the NYCC or something that was more concerned with photo opps, shaking hands, and self promotion than caring for people.. It doesn’t sound like that was you but i remember being very angry with their selfishness and lack of empathy. People who were there from the beginning didn’t even show emotion let alone carry a camera. Anyway, My concern is the props you continue to give the Red Cross. They were not set up until the 28th and they spent more money on billboards than on people in need… The Salvation Army should have received all the accolades. They were there from the 11th giving from the heart and giving until ALL needs were met. I don’t believe you should let your right hand know what your left had is doing.